Small Italian family business sourcing solid silver items from Italy! All our silvers are guaranteed in solid silver, most objects were created in the 1960s, 70s and 80s. We are proud to bring original, chic and design objects that are fabulous as collections and gifts. [We provide silver small craziness you can afford] With hundreds of different designs and auctions every week starting at £0.99, Silverissimo represents one of the most complete offer on the silver market. From dollhouse miniatures to animal statues, from pill boxes to perfume bottles, genuine solid silver Italian items brought to you from us with love :-) Please join us on Facebook - silverissimouk - and here on eBay! Silver Limited Edition Disney Mickey & La France €10 COIN 05/20 - IN THE UK! Silver Limited Edition Piéce d'Histoire €10 COIN 02/18 - IN THE UK! Silver Limited Edition Piéce d'Histoire Napoleon €10 COIN 08/18 - IN THE UK! Silver Limited Edition Disney Mickey & La France €10 COIN 16/20 - IN THE UK! Silver Limited Edition Piéce d'Histoire €10 COIN 03/18 - IN THE UK! Silver Limited Edition Disney Mickey & La France €10 COIN 11/20 - IN THE UK! Silver Limited Edition Piéce d'Histoire Louis XIV €10 COIN 06/18 - IN THE UK! Silver Limited Edition Piéce d'Histoire Louis XVI €10 COIN 07/18 - IN THE UK! Silver Limited Edition Piéce d'Histoire D'Artagnan €10 COIN 05/18 - IN THE UK! Silver Limited Edition Piéce d'Histoire Eiffel Tower €10 COIN 09/18 - IN THE UK! Silver Limited Edition Piéce d'Histoire Dagobert €10 COIN 01/18 - IN THE UK! 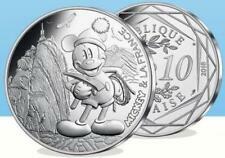 Silver Limited Edition Disney Mickey & La France €10 COIN 10/20 - IN THE UK! Silver Limited Edition Piéce d'Histoire €10 COIN 04/18 - IN THE UK! Silver Limited Edition Disney Mickey & La France €10 COIN 08/20 - IN THE UK! 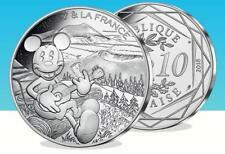 Silver Limited Edition Disney Mickey & La France €10 COIN 06/20 - IN THE UK! Silver Limited Edition Disney Mickey & La France €10 COIN 03/20 - IN THE UK! Silver Limited Edition Disney Mickey & La France €10 COIN 02/20 - IN THE UK! Silver Limited Edition Disney Mickey & La France €10 COIN 17/20 - IN THE UK! Silver Limited Edition Disney Mickey & La France €10 COIN 19/20 - IN THE UK! Silver Limited Edition Disney Mickey & La France €10 COIN 04/20 - IN THE UK! Silver Limited Edition Disney Mickey & La France €10 COIN 12/20 - IN THE UK! Silver Limited Edition Disney Mickey & La France €10 COIN 13/20 - IN THE UK! Silver Limited Edition Disney Mickey & La France €10 COIN 14/20 - IN THE UK! Silver Limited Edition Disney Mickey & La France €10 COIN 07/20 - IN THE UK! Silver Limited Edition Disney Mickey & La France €10 COIN 09/20 - IN THE UK! Silver Limited Edition Disney Mickey & La France €10 COIN 18/20 - IN THE UK!